EL005 logger with USB to serial adaptor. Logger can store up to 250,000 readings. Up to 15 converters can be connected to one logger. El005 data logger with USB to serial adapter. 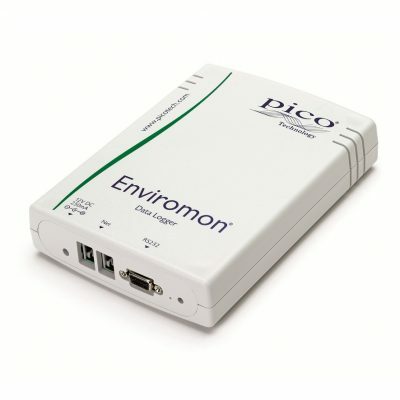 The EL005 logger is the starting point to any EnviroMon system and is required for every EnviroMon system. It is initially programmed on the computer and can either be disconnected to log/record remotely or it can remain connected to the computer to see live readings. Up to 15 converters can be connected to the logger, it has 2 network ports , these ports are a used to network the converter units together. The converters can be connected to one or both the network ports. The network system uses a 4 wire system, one for power, ground and 2 data lines, this is the way in which the converters are powered.